The computer is kept in a public area of our home. The kids have to earn their time on the computer. There is a daily time limit. They are not allowed to join chat groups. They are not allowed to download anything. They are not allowed to click on any advertisements. All screen names and passwords are created by me. All of these rules apply to any computer that they are on or will be on. They can only visit websites that are approved by me. At times, the kids get a little frustrated with me because of all of these rules, but like I tell them you don’t have to follow the rules but then you won’t be able to use a computer. I’m sure when they’re older or god forbid something horrible happens to a friend, they’ll understand that the rules were created to keep them safe. One of my major rules, is that the kids cannot visit any websites that are not approved by me. If they are caught breaking the rule, they are banned from using the computer for a period of time. Believe me they’ve tested me on this rule! But mom always knows (thank you history tool)! Besides sharing our families internet safety rules I wanted to share with you a wonderful, kid friendly and mommy approved website that I found about 5 years ago. This website has remained on the top of my list all these years. In fact, it’s one that I really enjoy sharing with my kids. 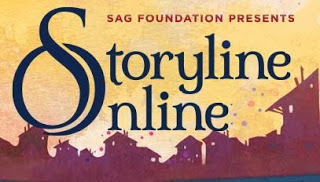 It’s called Storyline Online and it’s hosted by the Screen Actors Guild (SAG). 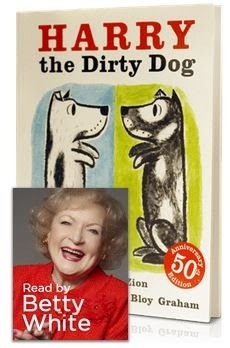 , she really makes you feel like she is reading the story to just you. When you’re done listening to the story, SAG provides you with an Activity Guide specifically tailored to the story you just heard. In the activity guide you’ll find a lot of activities that get your kids engaged with the story, some related internet activities and some information about the author, illustrator and the celebrity that read the story. Storyline online is a lot of fun and I hope that you get a chance to check it out. Your kids will love it. Internet Safety is a priority when I choose websites for my kids. What kid friendly, mommy approved websites are your kids are allowed to frequent?